One of the most scenic music festivals in the country, the Telluride Blues & Brews Festival takes place every September in Telluride, Colorado, a world-famous resort town in the heart of the Rocky Mountains. 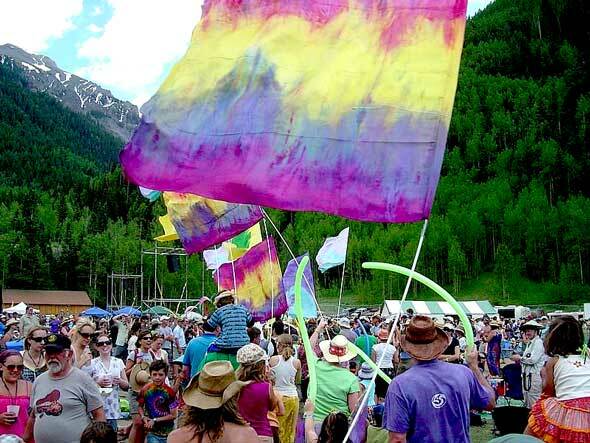 The festival is a three day celebration of music and microbrews, held in Telluride Town Park , an outdoor music venue with breathtaking mountain peaks for a backdrop. By day, experience live blues, rock, funk, gospel, and soul, the best micro brews from over 50 micro breweries during Saturday’s Grand Tasting, a wide variety of food and craft vendors, children’s activities, and more – all on the festival grounds. By night, follow the festival as it flows into the town of Telluride and Mountain Village, with late night juke joints and after-hours jams.